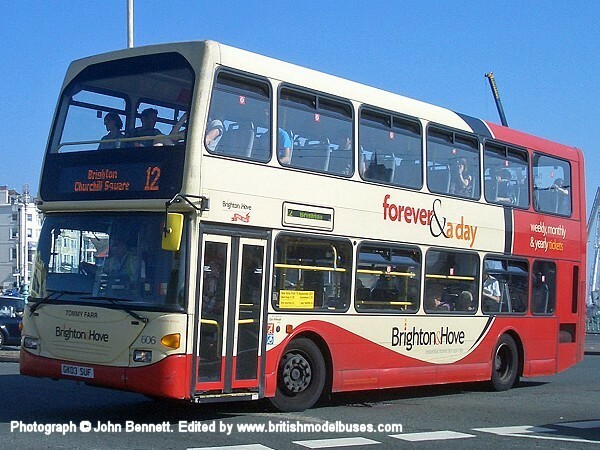 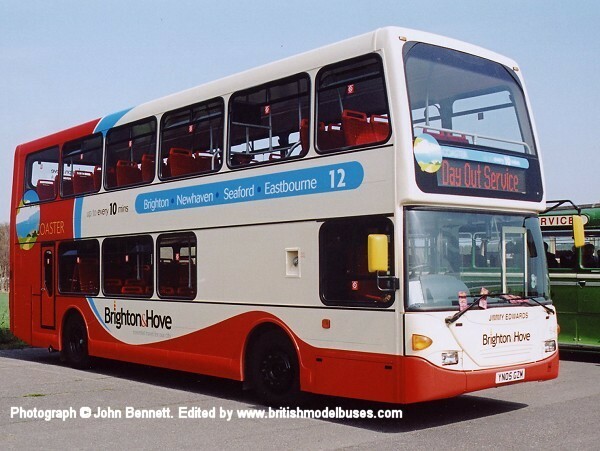 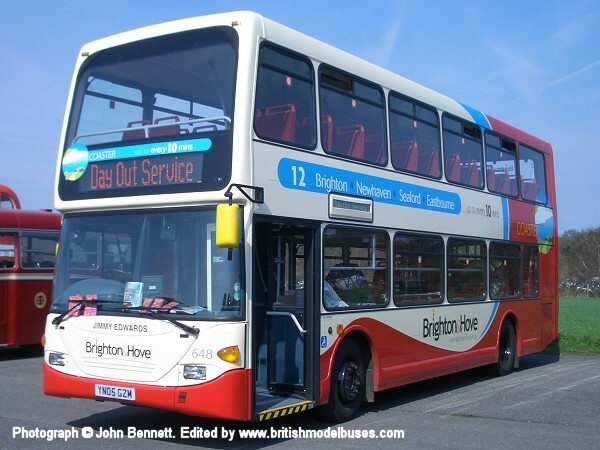 This photograph taken at the roundabout by Palace Pier, Brighton on Monday 3rd October 2011 and shows fleet number 606 (GX03 SUF). 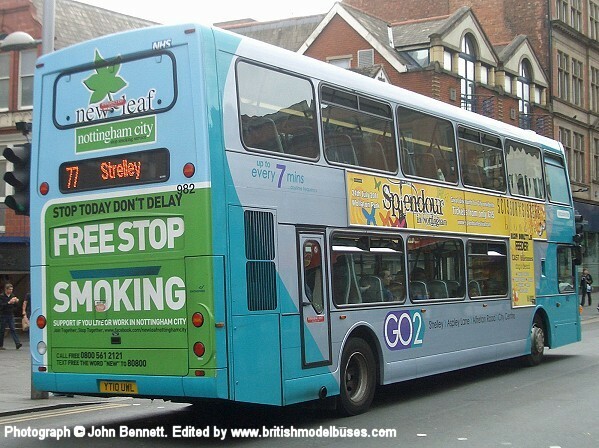 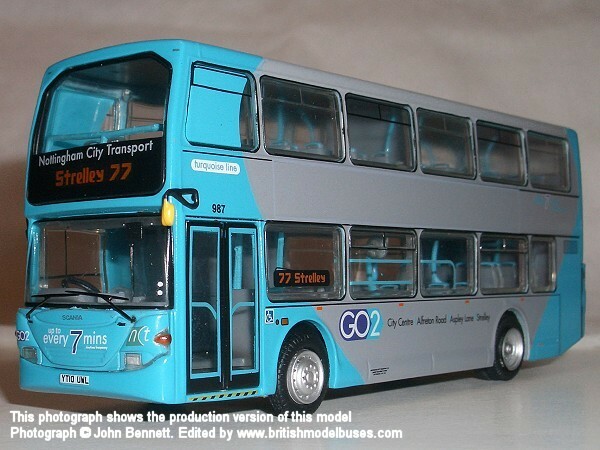 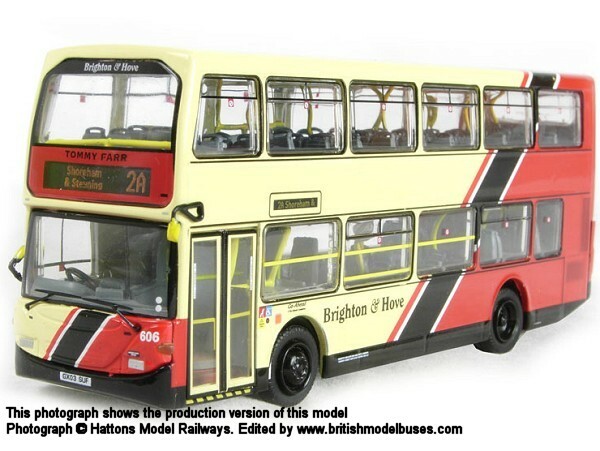 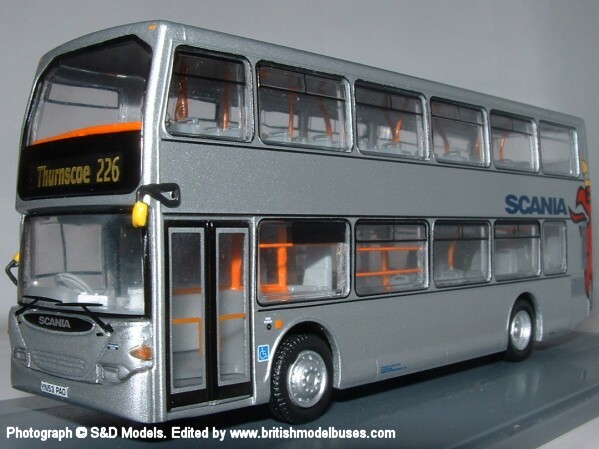 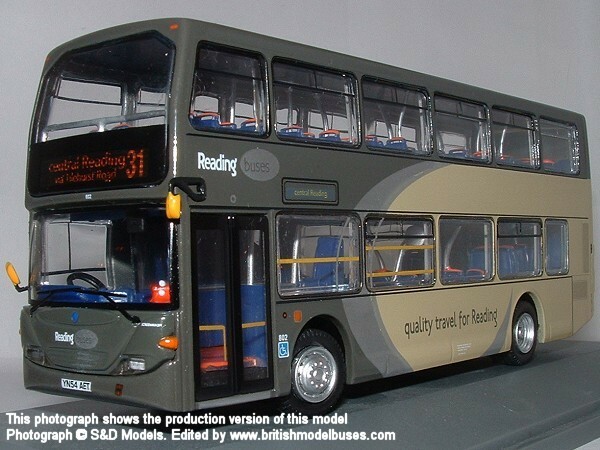 This is the actual vehicle represented by Britbus model ES-07 but displaying a later livery than represented on the model.. 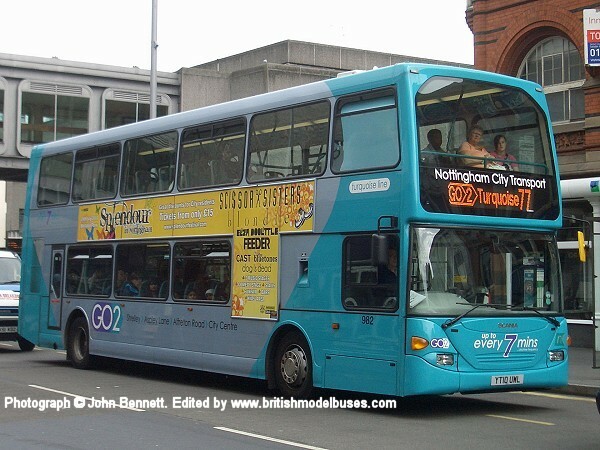 This photograph was taken in Lower Parliament Street, Nottingham on Saturday 5th June 2011 and shows fleet number 982 (YT10 UWL). 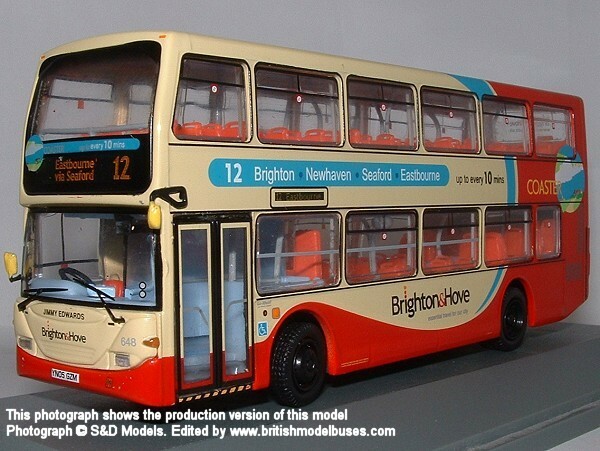 Britbus model ES-12 represents a vehicle with the index number YT10 UWL but the model displays a fleet number of 987. 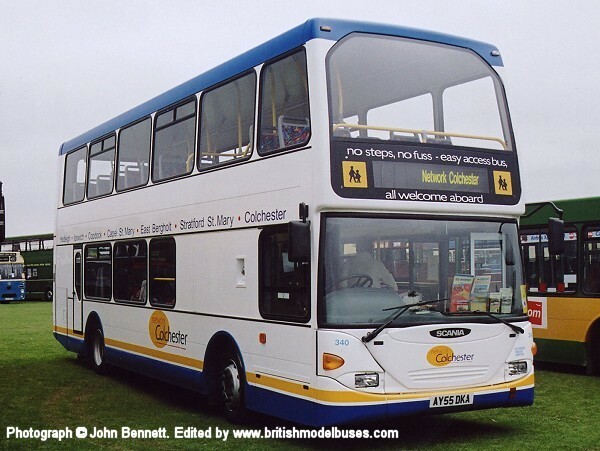 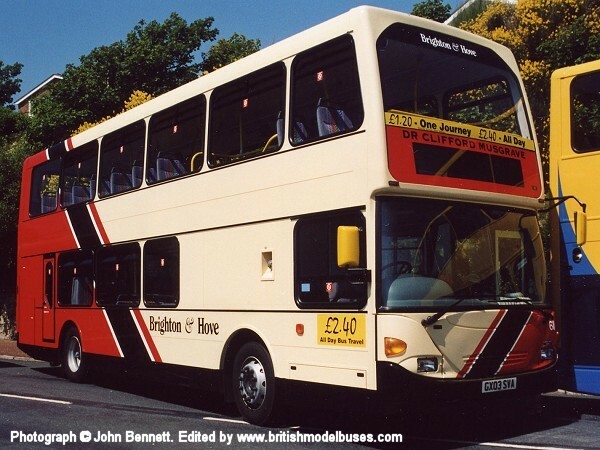 John Bennett pointed this out when he sent the photographs to me, I assume it is an error on the part of Britbus. 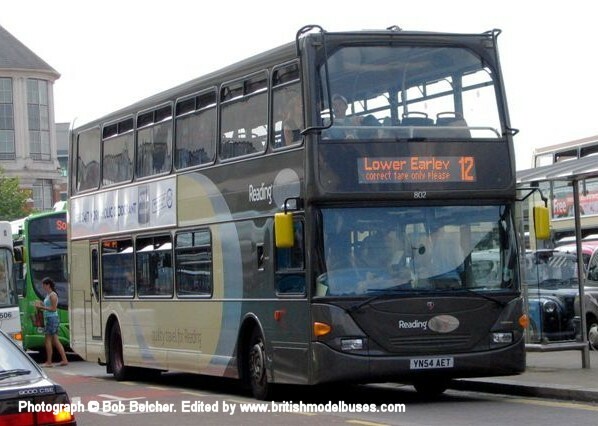 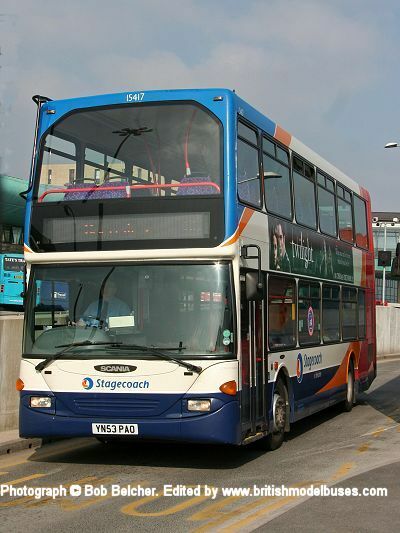 This photograph was taken in Barnsley on 19 March 2009 and shows YN53 PAO. 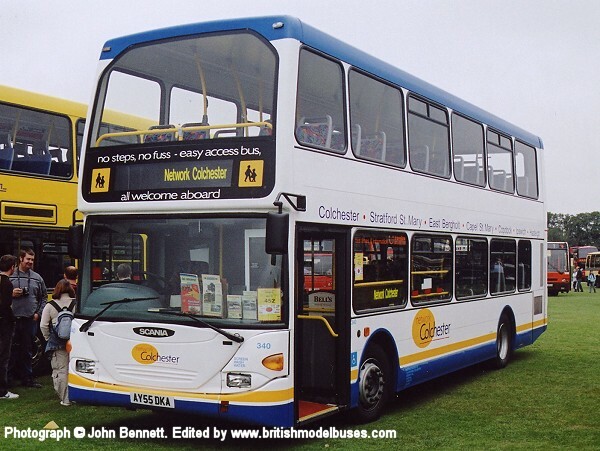 This is the actual vehicle represented by Britbus in Demonstrator livery as ELS 01.